OMG. You guys. 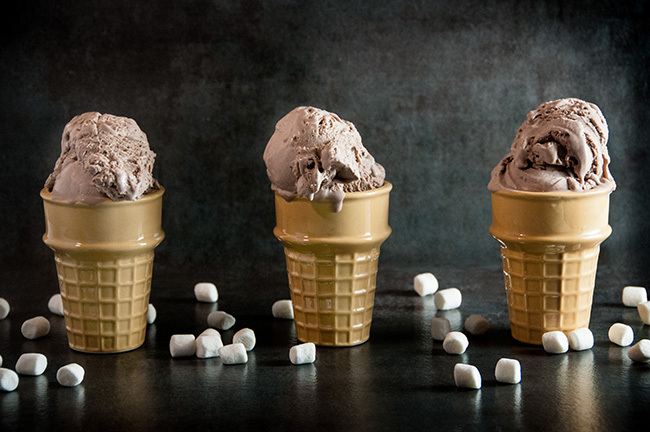 This no churn hot chocolate ice cream is everything. Everything. And I’m not just saying that because I am currently in my own personal version of Saturday night heaven. The toddler is asleep right now. The husband is cooking dinner. And me? Well, I’m on the couch with my laptop writing this post about ice cream, which is my most favorite food in the world, while I watch a Hallmark Christmas movie on tv. It’s the perfect end to my Christmas in July mini series here. 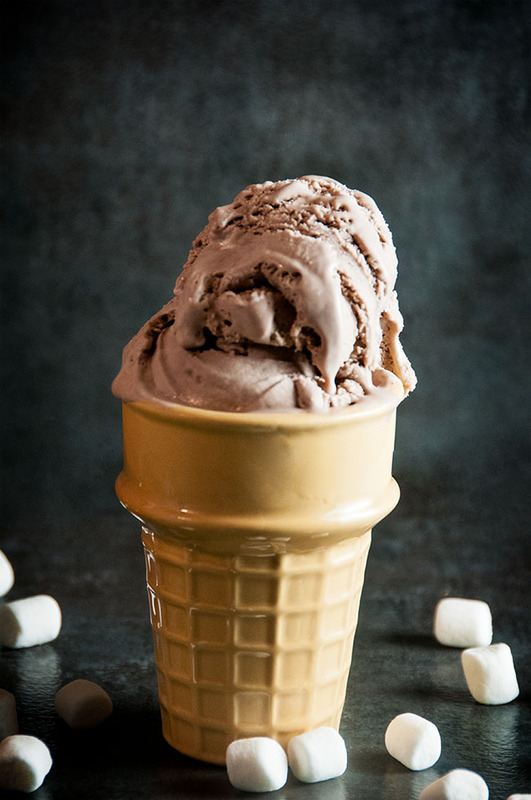 This no churn hot chocolate ice cream is super creamy and rich. It almost has more of a custard or gelato texture. Smoother than regular ice cream. Maybe a little richer too. And, oh did I mention? So creamy. I know, I know. Who wants to make ice cream when you can buy it in the store? Well, you do (or you should), and I’ll tell you why. It’s reallllllllly easy. I made this ice cream at like 5:45 am. BEFORE I HAD COFFEE. And if you are following along with me on facebook, have read a couple of my posts, or just have a 2 year old too, you know that coffee is essential before I do anything that requires thought and effort. Especially that early in the morning. You just throw all the ingredients in a bowl, mix it together with an electric mixer, and freeze. But the real reason you want to make ice cream at home? It gives you total freedom. You can make any flavor your little heart desires. You don’t have to worry that the grocery store won’t carry a certain flavor. Like hot chocolate ice cream in July. You can find it in December, but it’s a lot harder now. And that’s silly. 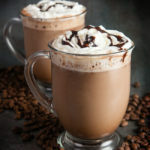 Frozen hot chocolate treats like this frozen hot chocolate ice cream or these frozen hot chocolate floats are seriously where it’s at when you are craving a little Christmas spirit in July. 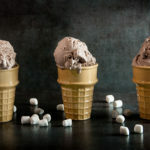 Looking for other no churn ice cream recipes? Try my no churn pumpkin ice cream with caramel walnut swirl. Whip together the heavy cream, hot chocolate mix, and vanilla extract until soft peaks form (about 3 minutes). Fold in the can of sweetened condensed milk, folding until thoroughly mixed together. Fold in marshmallow fluff, but don’t overmix so it runs through the ice cream in swirls. Pour mix into a plastic container and cover. Freeze for 3-4 hours or until frozen solid. Enjoy! Wow that ice cream looks amazing! And so easy to make! Thanks for sharing! Oh my word! 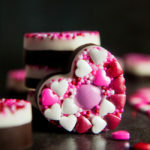 If I wasn’t allergic to milk I would go make these right now! This looks and sounds delicious! I need to try some! 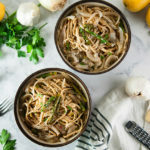 So easy, yet so delicious! 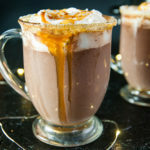 We are definitely going to have to try this, I love hot chocolate!! This looks so yummy! My husband would love this. Hot chocolate ice cream sounds wonderful, I would definitely take an extra large scoop of that! Sooooo good. So hard not to eat allllll the ice cream! Such a fun idea for the summer! Love the flavors, and what great photos! I need a scoop! Love no churn recipes. Gonna try this one this weekend! Thanks for sharing. Me too! So much fun! Enjoy Maggie! This sounds so good! I had Hot Chocolate ice cream at Serendipity and loved it, I’d like to try this too.